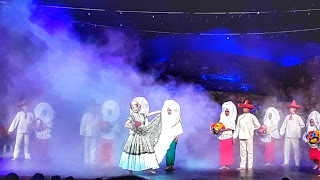 I was invited to watch this performance but all opinions are mine, with heart. The Pacifico Dance Company celebrated 25 years of dance at the Ford Theater on Saturday. 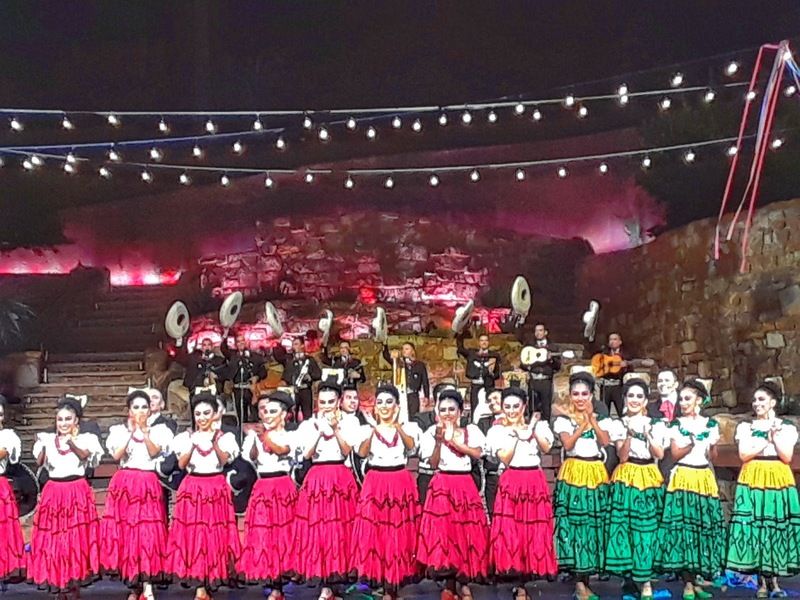 It was a showcase of Folklorico talent, including everything from dance and music to traditional dresses from the regions. I took my mom as my guest and we reminisced my childhood as we watched the intricate production, and that was just beginning. The newly renovated Ford stage was transformed into the underworld of Mictlan, a mythical Aztec world. The exquisite dancers brought to life the legendary Oaxacan folktale, La Llorona, the weeping woman. Dances from Costa Chica, Nayarit, Jalisco, and special guests Mariachi Los Toros, a dynamic group of professional musicians whose playing brought chills to my flesh. They played with such heart and love of their culture. 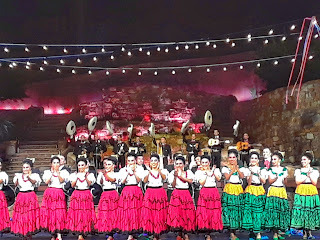 I was so thoroughly impressed by all the male dancers and charros! It left a very loving and lasting impression on my mom and myself. A wonderful night was had, and quite frankly, ended to early. I wanted more! As did the rest of the crowd. After it ended I was able to really take in the crowd, filled with many in traditional dress, myself included. I am so grateful to have gone to witness this beautiful display of Mexican culture and artistry. Thanks to Pacifico Dance Company and Ford Theater for partnering in bringing us such magnificent talent.